LEGO must be one of the most ubiquitous toys in the world. It's hard to imagine growing up without it. Somehow, the company has managed to remain relevant all these years, finding new ways to engage with kids as the world around them changes. 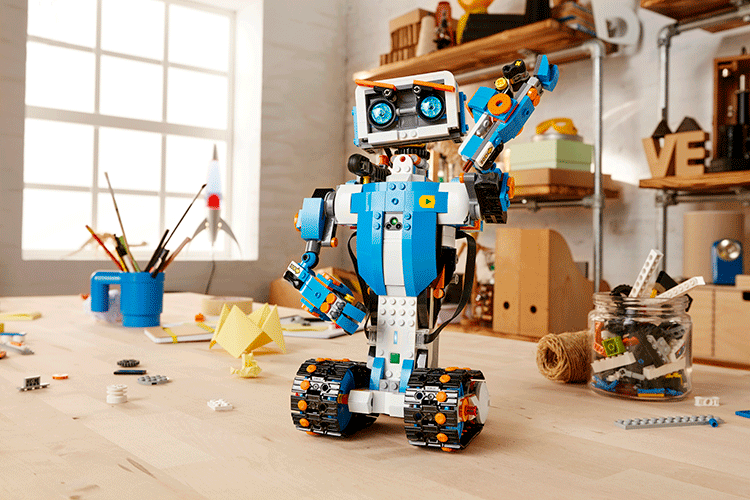 One of the most highly anticipated LEGO releases for some time is the Boost Creative Toolbox, which tasks you with building a robot named Vernie, among others, and programming them to perform certain actions using "drag-n'-drop coding." It's due to ship from August 1st, and in preparation, the Android app has just been made available. We cover a lot of app and game sales here on Android Police. We actually have a really complex system we use to find new sales and check the previous prices before presenting them to you (it's called "checking Appbrain"). 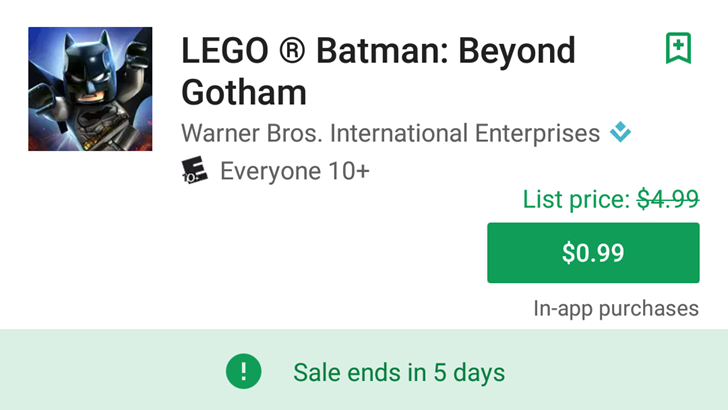 But soon you might not need to take our word for it: one of our readers spotted a new visual element on the mobile version of the Play Store highlighting apps on sale directly to users. A similar feature has been in place for movies, TV shows, and books for some time. As virtual reality becomes more and more mainstream, brands are slowly realizing its potential to market to consumers. 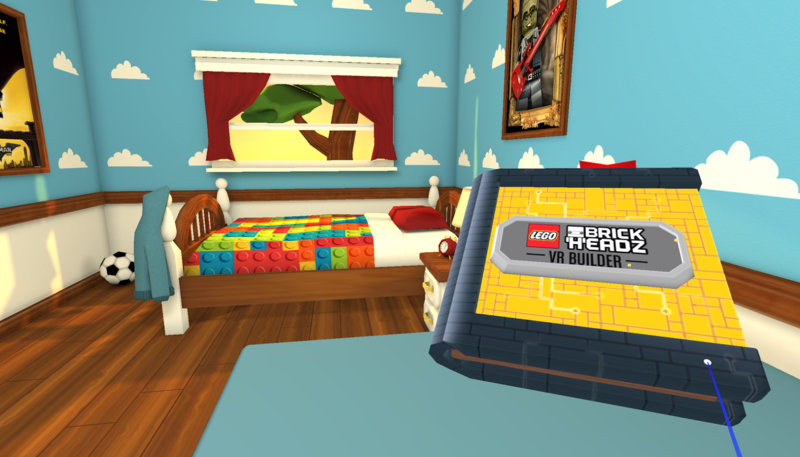 LEGO is the latest company to do this, releasing Brickheadz, a VR app for Google's Daydream platform and accompanying headset, to the Play Store in 'unreleased' beta state. If you're unaware, as I was, Brickheadz is a LEGO range released earlier this year with blocky characters, using Marvel and DC super heroes. [Deal Alert] Lego Harry Potter is down to $0.49 ($4.50 off) in multiple countries, including U.S. In many parts of the world, we are preparing for the most magical time of the year. What's better to go with the holiday season than a little bit of wizardry? Well, we've got you covered. 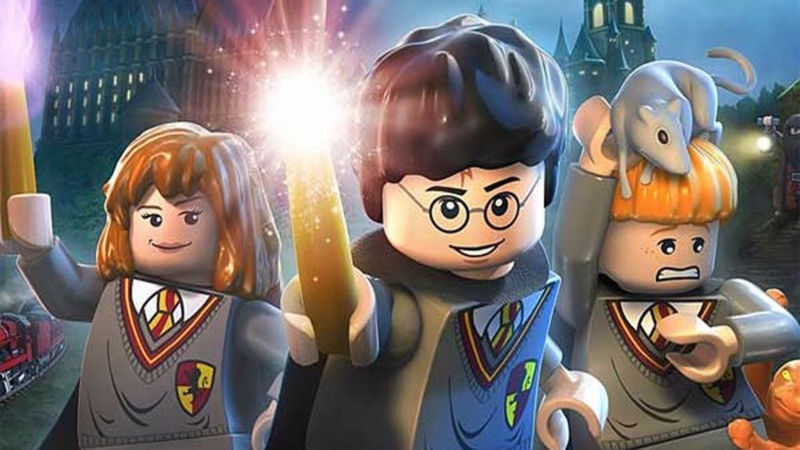 The Lego Harry Potter games, both Years 1-4 and 5-7, are on sale for $0.49 each in several countries including the U.S. Many years ago, my first game console was a Nintendo DS Lite. And one of the first games I got for it was LEGO Star Wars: The Complete Saga. It still remains one of my favorite games of all time, mostly because of nostalgia to that red and black handheld, but also because the LEGO video games are incredibly fun and engaging (for all ages). LEGO Harry Potter was originally released in 2010 for Windows, various game consoles, and iOS, followed by a Mac release a year later. Almost six years after it was released on that other mobile platform, Android users can finally enjoy the blocky wizard-themed fun. 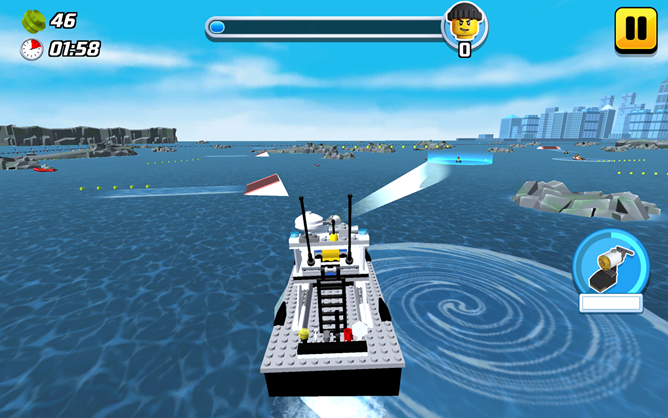 The LEGO games are great - a little repetitive, maybe, but very good, especially for mobile devices. 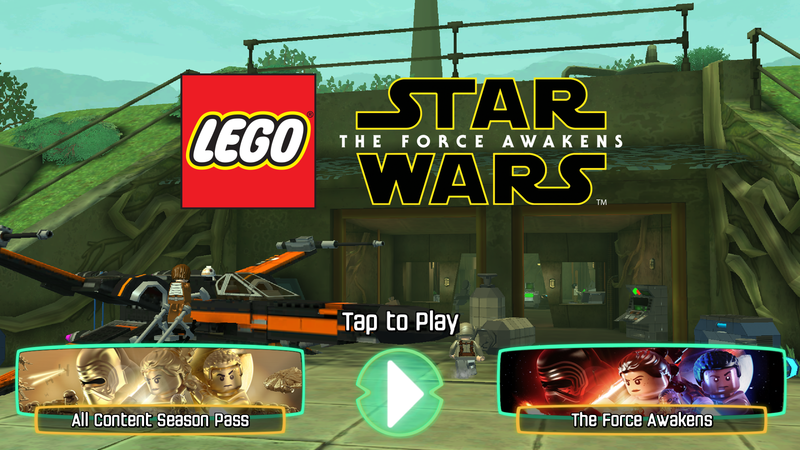 For the Star Wars fans out there (and boy are there a lot of you), your time has come: LEGO Star Wars: The Force Awakens has hit the Play Store, almost a month after release on consoles and PC. We all know the LEGO formula by now: run around with a character, collect as many coins as possible, and advance through the game. This is tried and tested, so I'm not going to doubt it, but the gameplay does feel a little tired now. LEGO has gained a well-earned reputation for releasing solid mobile games that eschew the usual advertising and in-app purchases, making them great choices for kids. (Okay, technically every LEGO game is an advertisement for those super-expensive toys, but there are worse ways to advertise to children.) 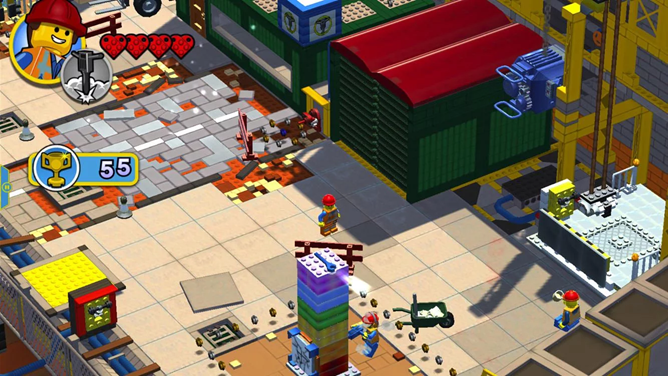 LEGO City My City 2 - that's My City 2, using the long-running My City toy line brand, if you're wondering - is one of the company's most elaborate mobile games to date. Far be it from me to criticize a multi-billion-dollar company for falling behind in its release schedule but... really, Warner Bros? The LEGO Movie came out more than two years ago, and you're just now getting around to releasing an Android version? Even back when video games ran on machines with the power of a calculator, they generally got around to releasing the movie tie-in within a month or so of the theatrical release. Okay, so Jurassic World didn't exactly live up to the groundbreaking standards of the original movie. That probably doesn't matter to the herds of kids who went to see it just to watch some dinosaurs scaring the crap out of a bunch of puny humans. That being the case, a tie-in with LEGO for toys and games is pretty brilliant. 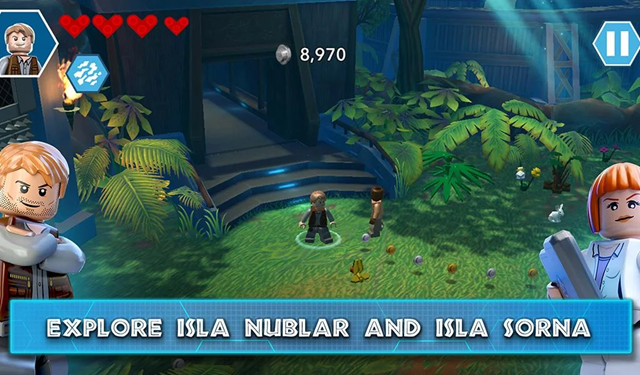 After a substantial delay, you can now play the LEGO video game version of Jurassic World, which also includes bits from the original Jurassic Park, Jurassic Park: The Lost World, and that other one with Téa Leoni.